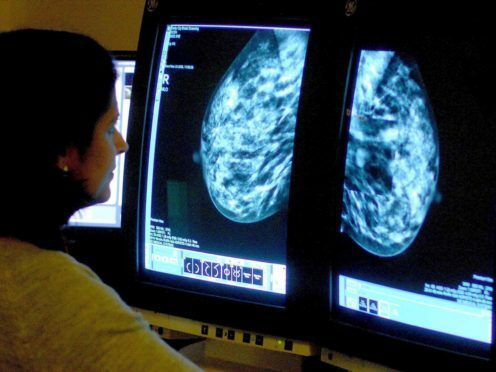 The number of women dying from breast cancer in the UK could increase by 2022, according to new analysis. A rise in incidence of the disease coupled with stalling progress in survival rates means the number losing their lives could begin climbing in four years’ time, Breast Cancer Now said. The charity urged the Government to act, describing it as a “once-in-a-generation opportunity” to stop thousands of deaths. Breast cancer survival rates are improving but the UK’s ageing population and a rise in obesity levels, among other factors, mean more women are being diagnosed with the disease. The projections, by Breast Cancer Now in collaboration with York Health Economics Consortium, suggest the number of breast cancer deaths could increase if trends continue. In 2021, an estimated 11,095 women aged 15 to 90 years old will die from the disease, according to the analysis. The researchers suggest this will rise to 11,876 deaths by 2035. Baroness Delyth Morgan, chief executive at Breast Cancer Now, said: “This projected rise in breast cancer deaths is deeply worrying, but it is not too late to stop it. “We now have a once-in-a-generation opportunity to invest to stop thousands more women dying from breast cancer and we urge the Government to act now. “It’s so encouraging that, thanks to decades of research progress and NHS investment, more women are surviving breast cancer than ever before. The charity has published a new report which calls for more investment in breast cancer as part of the NHS long-term plan. The Government should address geographic variation in NHS breast cancer services, invest in local initiatives to improve screening uptake and fund interventions to prevent “avoidable” deaths, it said. Baroness Morgan said: “With incidence continuing to rise, and survival progress now stalling, we simply cannot afford to let such clear chances to prevent thousands of deaths pass us by. Around 55,000 women and 350 men are diagnosed with breast cancer every year in the UK, while more than 11,000 lost their lives. The number of deaths has dropped from 15,625 in 1989. Most deaths are attributable to metastatic, or secondary, breast cancer, when tumour cells spread to other parts of the body.